Separating migrant kids from their parents will cost the administration more than placing them in permanent structures or keeping them with their parents. 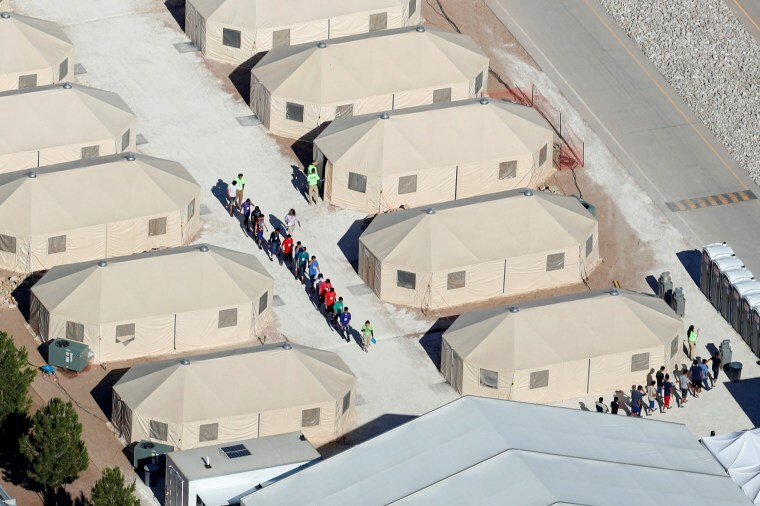 The HHS official said the agency is "aggressively looking for potential sites" for more tent cities to accommodate the surge of migrant children who have been separated from their parents by the Trump administration's "zero tolerance" policy on illegal border crossing. The Trump administration announced its zero tolerance policy in April. Adults crossing between border checkpoints are criminally charged, and children traveling with them are separated and placed in temporary shelters. Prior to zero tolerance, children and parents were kept together in ICE detention facilities for a maximum of 20 days before they were released with ankle monitors to await their court hearing. The agency is currently exploring places to build temporary facilities at an Air Force Base in Little Rock, Arkansas and land formerly run by the USDA in Arizona. As of Wednesday, according to the Department of Homeland Security, 2300 children have been separated from their parents since the Trump administration began separating migrant children from their parents in May. That number is expected to grow more rapidly as the administration streams more resources to the border for apprehending, transporting and detaining immigrants. HHS has said it is holding nearly 12,000 immigrant children, most of whom crossed without a parent or legal guardian. The agency says the children stay in HHS facilities for 57 days on average before they are sent to live with a relative or placed in foster care.